In June 1996, Shawn Stanley set up a website he called the Vaults of Pandius. Ever since this has been a focal point for the Mystara Fan Community. That is 15 years ago, this month. I joined the Mystara Mailinglist later that same year. The mailinglist hadn't been around very long at that time, but already at this point there was a vibrant community talking about this setting which had been created as the default world for the Classic D&D game. From the very beginning I was overwhelmed by the friendliness and creativity that characterized this community. Many of the results of this creativity can be seen at the Vaults of Pandius, including some of my own humble writings. The Mystara Mailinglist still exists, but the center of the community's activities are now centered arount the Mystara forum at the Piazza. Interestingly many of the people I first met on the mainlinglist back in the 90s are still there, along with many others who joined over the years. This community remains a stimulation for my creativity. I think I signed up right away in those early days. 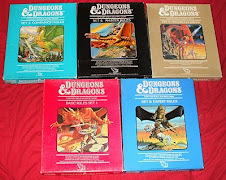 Always a great source of information and more in depth than any other D&D world fan site. That is pretty epic! 15 years and still going. Hell of a good site too. Was just on that page this week, since I have been thinking about playing some Mentzer action in the Known World! Great site, and happy birthday to it! I'm currently gearing up to run a B/X Known World/Mystara campaign and I've been drawing on the vaults heavily. It is just a great resource for someone trying to get into the Known world. I'm planning to modify Karameikos to make it a little more sparse with citizens vs. the GAZ1 info, combine Penhaligon and the "Keep" from B2, remove the Castellan Keep from the mountains fully and replace it with a series of watchtowers that ranges through the perilous Wufwolde's. This makes Penhaligon the last bastion of civilization on the borderlands of Karameikos. It is there that my PC's will explore the Caves of Chaos and maybe have a few other adventures before moving on to other parts of the world. Do you know if anybody plans on updating the site with new material and bringing the site back to life? It's a great community, a great resource. I really loved reading the Pandius site. Unfortunately vop is flagged as hacked...has something gone wrong? Hello Sean! Pandius.com or www.pandius.com both work for me now. I think it was down a while back. Maybe try to delete cookies on your PC and reload?